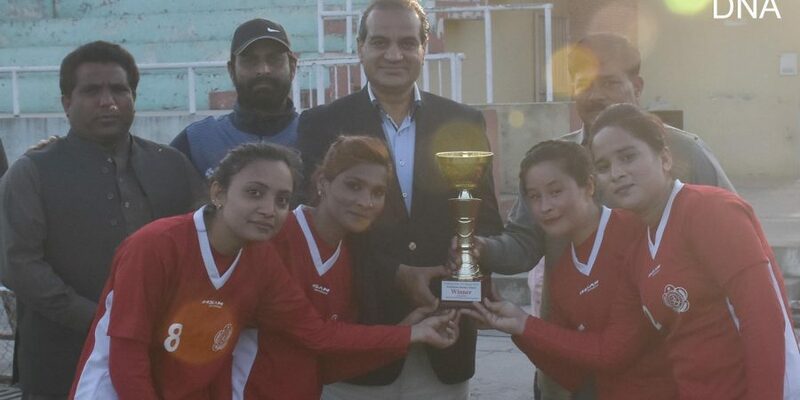 ISLAMABAD, MAR 24 (DNA) – Pakistan Army Women Hockey team defeated Rising Stars Hockey Academy by 5 goals to 2 to clinch the Pakistan Day Hockey Cup 2019. The match was played at Naseer Bundha Hockey Stadium Islamabad. International Umpire Sohail Janjua along with members of Nishtar Hockey Club and Rising Stars Hockey Club organized by match. Pakistan Army team from the outset dominated the game and took an early lead to bring the opponents under pressure. The Rising Stars Academy in the second half the match made some excellent moves and was able to score a couple of goals. Olympian Muhammad Usman, the coach of Pakistan Army team congratulated his team upon the success and exhorted players to continue playing with the same spirit even in future matches. Chief Guest Ansar M Bhatti Editor DNA news agency and President of Rising Stars Hockey Club gave away awards.